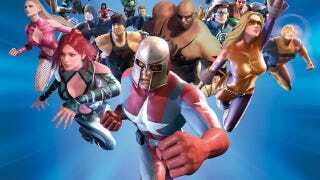 More than eight years old, City of Heroes says goodbye tonight. In five hours—at 3 a.m. EST Saturday—NCsoft will pull the plug on both the superhero MMO and its developer, Paragon Studios. If you still have an active account, there will be a final Unity Rally in one hour (11 p.m. U.S. EST) at Atlas Park, taking place on every server in the game. For those without access, Massively is livestreaming the final hours of this venerable franchise. Goodbye Paragon, so long to all the villains, and farewell to the world's finest heroes.